This is the second time we've stayed here. This time with another motor home traveling with us. It is just so lovely to be riverfront. There aren't a lot a amenities, but we didn't need any. This is the only place that I have been that the washer/dryer is free. No WiFi or cable. You may wonder where you are going when you drive in the road, but never fear, you will be fine, lol. Central BBQ is overrated. The riverfront sites I would recommend are 67 thru 75 under the trees and near the bathhouse and laundry. The other sites on the river are 94 thru 100. 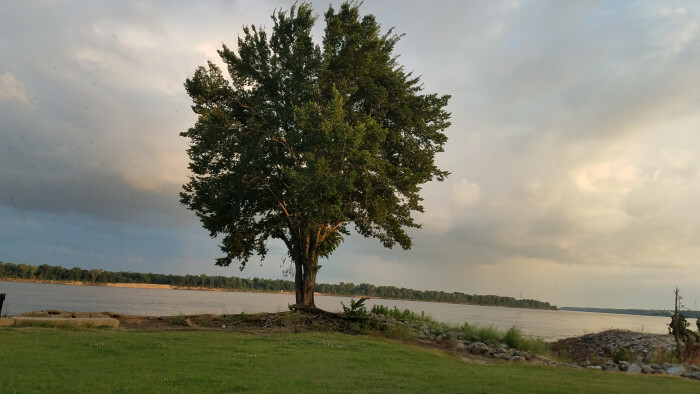 We camped at Tom Sawyer's Mississippi River Park in a Motorhome. 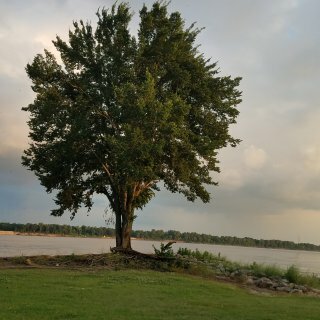 This is a good location to go to Beale St., Graceland, Bass Pro, and if you want a tour of St. Jude's make an appointment about a week ahead of time. This is our second time at this park. We were with 2 other motor homes. We all found this campground very relaxing after a pretty hectic trip up to this point. From the moment you check in you're greeted with chocolate M&M's. They have free coffee, and dog biscuits. Very nice folks own and run this campground. The sunsets are outstanding. Some wonderful props around the campground can give you some good photo opts. About 13 miles from Santa Fe. 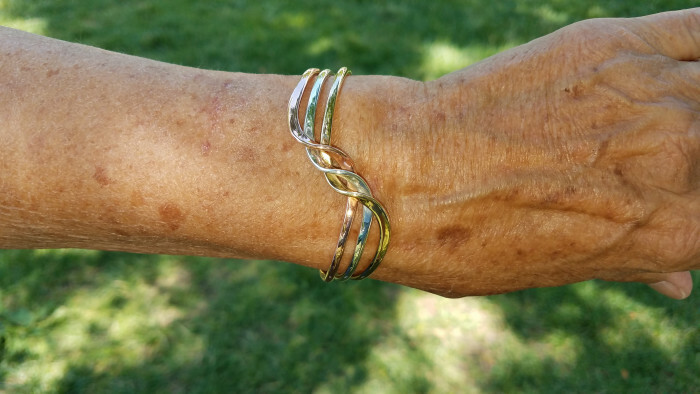 We loved shopping in Santa Fe. 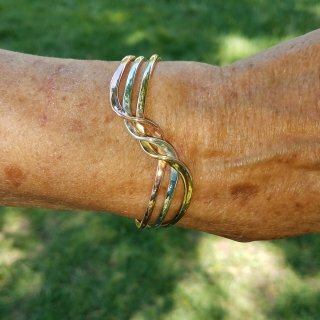 You can find some excellent Indian Jewelry for yourself or gifts. We camped at Santa Fe Skies RV Park in a Motorhome. Definitely going into Santa Fe for shopping. There is a Walmart not far. Another town we drove to was Madrid. It is a little weird (not bad), but lots of shops, and my friends found jewelry. This is a beautiful park. You can bike all over the place, go swimming in the lake, basketball court, kids playground, store, or just walking around. We only stayed on night, but highly recommend it. We were in Section T with full hookups. We camped at Hillman Ferry Campground in a Motorhome. We really enjoyed staying here. The park is lovely, and conveniently located. We were in a full hook-up site, and they are probably hard to come by in high season. The first night we thought our heat pump was not working, so we used our gas heat. The next morning we realized that our 30 amp at the post was not working. The 50 amp was working, and we had a converter with us so no problem. I called the lodge to let them know, and in a few minutes someone came by to fix it. A very nice person, and full of information about the area. We found everyone we came in contact with in this whole area extremely nice and helpful. Also, everyone knows one another in Helen. We camped at Unicoi State Park and Lodge in a Motorhome. Do by all means go to Anna Ruby Falls. It's a beautiful walk through the woods. If you are a senior, with a national park pass, you will not have to pay to go in. I don't know what they charge. Also, a wonderful restaurant to go for lunch or dinner is Bernie's in Nacoochee. Wonderful food and service, can't say enough (make a reservation). We were only here one full day, and we could have used a little more time. This is a convenient location, and it was not unsafe, but the campground area is a mess. When you first pull in you see a pond with a gazebo, a pool that was not opened yet, and the building that houses the office. So far so good. Then you drive down to the entrance of the campground, and you wish you were staying somewhere else. The road is bumpy, and not good. The sites are the same, with little shoots of grass between the gravel. It was hard for my husband to level, and do all the hook ups. The cabins looked cute, but I wasn't inside any; however, they are in the midst of the campers. Enough said..... One more thing, ducks wandering all around, I didn't mind them, but you might. We camped at Adventure Village in a Motorhome. The Square Root is a very nice restaurant in Brevard. Of course, you must check out all the water falls. Some of the trails are strenuous. The visitor center in Brevard is very helpful, and there is a brochure that lists the waterfalls, and their difficulty. This is a perfect location. 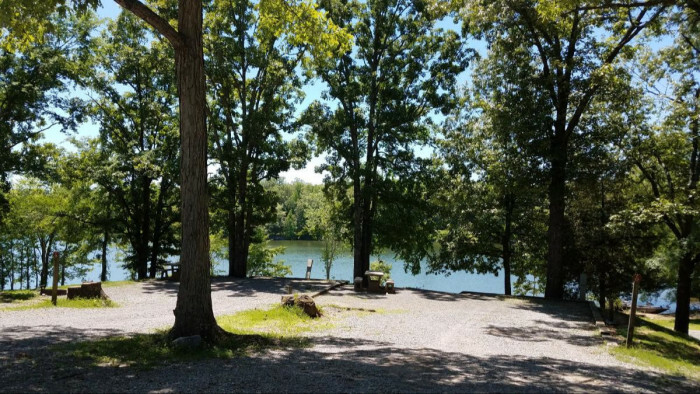 You can walk to town and Walmart, Seneca Lake is right across the street, The State park is close, and the gorge is absolutely beautiful. The Corning Museum isn't too far, and you can visit wineries to you hearts content. The park itself is plain Jane, but functional, and the staff is very helpful and pleasant. 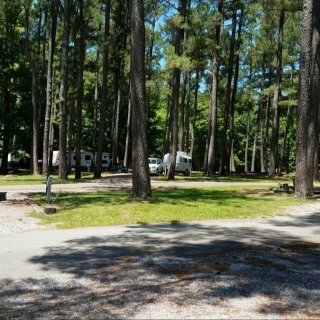 We camped at Clute Park Campground (W W Clute Memorial Park) in a Motorhome. If you want a place with amenities, this is the place for you. They have 3 pools (1 indoor), sauna, Jacuzzi, tennis court. etc., etc., etc. Nice roomy sites. Beautifully maintained with excellent security. We went to Boston for the day, and they have a dog walking service. For $10 they will walk you dog twice, you just tell them when you want them to do it. This is a place where you can take a vacation. We camped at Normandy Farms Family Camping Resort in a Motorhome. We used our National Park Pass for a discount at this US Forest Service recreation area campground. There are only about 13 or 14 very large sites. 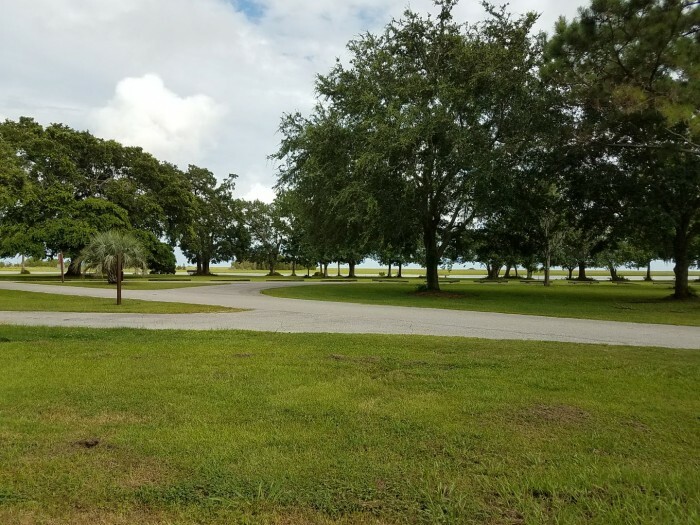 It was just a lovely park like setting on the inter-coastal waterway with a very good boat launch area. Buck Hall is grassy, and treed. We camped at Buck Hall Recreation Area in a Motorhome. We stayed 3 nights, and had been here before. It has very good Wifi and cable. The area is a perfect for biking all around Tybee. The park has a very nice pool area, and the staff is helpful. It is close to the beach. It is a bit pricey for what you get, but location, location, location. It is an easy drive to Savannah, which we did both time we stayed. A very excellent, but expensive restaurant is Sundaes. It doesn't look like much on the outside, and is in a small strip mall, but the food was excellent. Dinner was very high, if we go again, it will be for lunch. We camped at River's End Campground & RV Park in a Motorhome. We just got a new Class C motor home and took it to the NC mountains for a shake down. 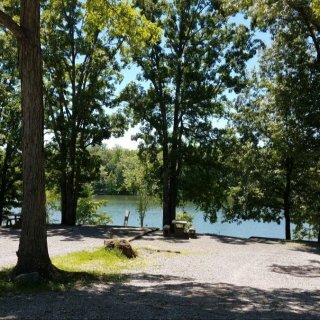 We were extremely pleased with Buck Creek Campground. We asked for a creek side spot, with cable. The owner is very helpful. We got site # 5, and it was very nice. The Wi-Fi and cable worked very well, which is not always the case at campgrounds. The sites are shaded, and very pretty. The campground is all gravel, and there are no special amenities. However, there are 2 swimming holes that kids would probably love, but for younger children use life jackets. 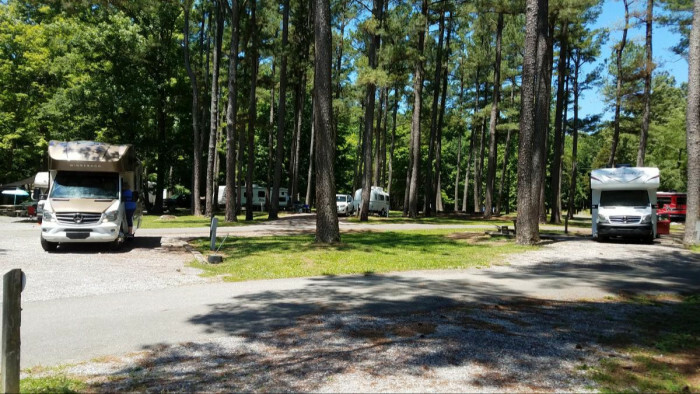 We camped at Buck Creek RV Park (formerly Buck Creek Campground and Driving Rang in a Motorhome. It is a convenient area with things to see a do: Waterfalls to see, specialty shops to visit eg. The Honey House at Sweet Betsy Farm, hiking and biking the Greenway, other towns to drive to eg. Black Mountain, Ashville, Lake Lure, etc. In the NC mountains there are a lot of local festivals, so check on that is you go. We stubble on the "Live Mush Festival", which was interesting. Especially the Hog Calling Contest. We were never at one of those, LOL. 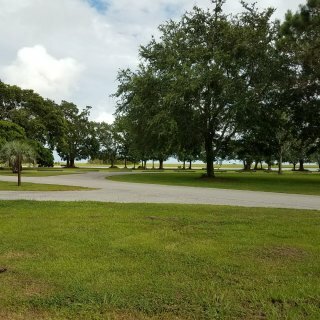 This is a great and well maintained RV Park. Pool, Hot Tub, and candy at the front desk. The only negative is there is no WiFi at the sites. You will have no problem walking to the French Quarter. At night, you might want to take a cab, the area is iffy at night. We never took a cab because there was six of us traveling. The camp ground has good security. Very convenient, no need for a car. We did get a tour at the front desk that was very good. Bring very good walking shoes, you will need them. We walked all of the place. If you go to the Garden district, please go the a french bakery for lunch, La Boulangerie. Great sandwiches, the best Napoleons. We camped at French Quarter RV Resort in a Travel Trailer. The whole French Quarter is fun. Muriel's restaurant was excellent, but expensive. It is by Jackson Square. We were there for the first Mardi Gras parade on Feb. 11th. Lots of crazy sites to see. We made sure we bought masks at the market before the parade. Lots of fun. The sites are very roomy and nice, a very pretty RV park. There are a couple things I think should be changed or fixed. The most important is that the bath houses are closed between 9pm - 8am. This is not only inconvenient, it can be very dangerous. When we were there, San Antonio was hit with a major storm, and there were tornados. With no buildings available to go into, we were sitting ducks. Lucky for us they didn't hit us. Also, the internet was not reliable. We camped at Blazing Star RV Resort in a Travel Trailer. It is located across the street from a police station. So, although it isn't in a posh neighborhood, we felt safe there. It does have a small pool that is well used. The campground is basically a parking lot with hookups, which is all we needed for a couple of days. Nice people run the place, and as they told me they are only one of three campgrounds in the US that can be found in a city. I would not hesitate to stay they again, or to recommend it. Just don't have expectations of a resort. It is what it is. We camped at St. Louis RV Park in a Travel Trailer. Very good campground. There is no cable, and very poor WiFi. Although we didn't use there bathroom facilities, we did peek in. They were excellent. We had a nice patio with a bistro table. It has a very desert, southwest feel. Lots of metal sculptures around. We would stay here again. 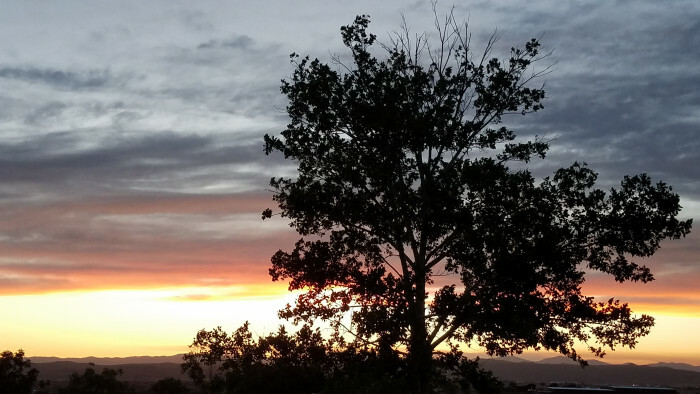 We camped at Santa Fe Skies RV Park in a Travel Trailer. We were able to get to downtown Santa Fe in 15 to 20 min. If you are there on a Sat. or Sun., you can park right as your going into town in the Travel Info lot, which is adjacent to a municipal lot. It doesn't cost anything, and is a couple of blocks away from the center of town. Take the Loretto Trolly for $15. It is about 1.5 hrs., and will give you an excellent overview of the city. This was a very convenient location. No WiFi or cable. It was very good for what we wanted. All sites are back ins. So be sure to get the owner to help you. We had to change locations when the camper next to us dumped their sewer on our site # 21 by accident. We got a new spot # 45 the next morning. For the night they tried to neutralize the problem with lime and Clorox. The Clorox was choking me, so we shut the a/c. They did what they could. The creek-side sites are very nice, but they are near the road, and you will get noise. There is a walking trail, and a park right next to the campground. 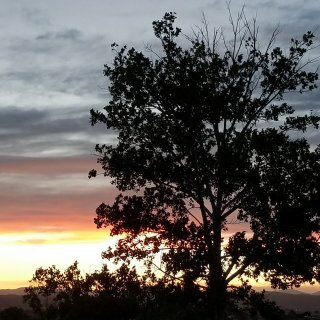 We camped at Pikes Peak RV Park in a Travel Trailer. Savelli's is right across the street from the park, and has excellent pizza; we highly recommend it. Get reservations for Cog RR in advance, and Garden of the Gods is a must see. Manitow Springs is a cute tourist town, it is walkable, but the free shuttle will take you there.